Posted December 13, 2017 at 10:05 am & filed under News, Top Tips. With the festive season upon us once more, there are a hundred and one things to think about, particularly for those in the hospitality industry. With so much happening and the sense of anticipation palpable in every pub, restaurant and hotel around the country, we know that any assistance is useful, particularly when stuck for ideas for ideal gifts for those difficult beer lovers who seem to think only of the moment that they can slip away for a few refreshing brews. Keep them happy away from their local with our picks of the best Christmas gift ideas. Any regular followers of the Beer Piper blog will know that we dedicate our blog space to providing advice, entertainment and news about all things beer and this season is no exception. Last Christmas we offered a checklist for busy bar and restaurant owners to help ensure a successful start to the holiday period which, if you’re still stuck on the preparations for your establishment, you can check again here. This year, however, we thought about how to buy for those tricky characters in your life, the ones for whom beer discovery and enjoyment has become a way of life. Alternatively, perhaps you are looking for appropriate little tokens of appreciation for your staff. Either way read on and we’ll have you covered. A critically acclaimed book all about the world’s greatest beverage from one of our leading beer journalists. Examining the four essential ingredients with historic tales, hilarious adventures and his own anarchic sense of fun in pursuit of true beer knowledge this book will entertain and inform the beer loving reader for hours. Ideal for a day trip as a reward for your hardworking staff with ticket prices starting at under a tenner, or for a weekend getaway for a loved one in a fabulously historic setting, the National Brewery Centre in Burton Upon Trent offers an immersive beer experience. Featuring a brewery tap with Christmas lunches throughout December, a museum dedicated to the brewer’s art, steam and vintage vehicles as well as live music and a beer boutique for you to stock up on rare treats, this experience beats gifted novelty socks, hands down. Shadowing head brewer Jaega Wise, participants are involved in the complete brewing process from early morning mashing, through sparging and boiling, and will be fluent in speaking the brewer’s language by the end of this full day experience. Cheaper options include beer tasting and food pairing events for less than £20 a head making it a great little gift idea for anyone who appreciates beer. One of London’s most exciting breweries, we discussed Wildcard earlier in the year, read more here. We have all either tried it, are currently doing it or have promised ourselves we will do so at some point but home brewing is pretty easy as long as you have the basic equipment and ingredients. No matter at what stage your gift recipient, The Home Brewing Shop has something for everyone. Established home brewers could well use some vacuum-packed hops or be looking to upgrade their mashing equipment, or you could buy everything required for a newbie with a starter kit featuring all the basics. There is even “brewery in a bag” for the least ambitious at just over £20. We started with a book and will end with another, a real gem for those who either follow Boak & Bailey’s blog or who are fascinated by British beer. Comprising considerable research and insight into the rebirth of British ale, the authors are undoubtedly among Britain’s great beer authorities. We hope we’ve given you some food for thought and that your festive period will be a roaring success. It just remains for Beer Piper to wish all of its blog readers, customers, partners and associates a happy, harmonious and joyful Christmas holiday. 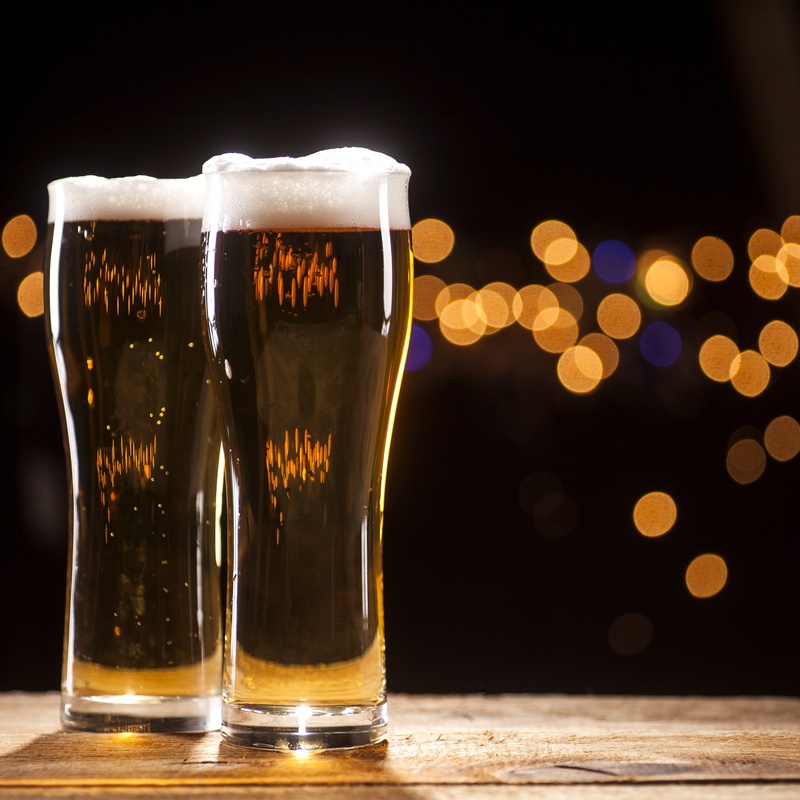 If you would like to know more about our beer pipe cleaning systems and the service we provide, don’t hesitate to contact us on 0300 303 2709. I want cleaner beer pipes too! © Dovefield Limited t/a Beer Piper Reg. No.11134091. VAT number 286 9783 25.